Facing the Loss of Your Home? Call Us for Help! 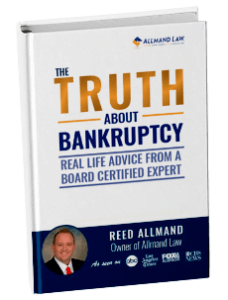 If you have received a foreclosure summons, a notice of acceleration, or a foreclosure date from your lender, the Fort Worth bankruptcy attorneys at Allmand Law Firm, PLLC may be able to help. From the date the foreclosure notice is sent, you could have as little as three weeks to save your home. For this reason, you will need to act quickly. Ignoring foreclosure notices won’t make them go away. Similarly, falling further behind on your mortgage payments will only increase the risk of foreclosure. If you want to save your home, you should move quickly to secure the help of a skilled foreclosure defense lawyer. Contact Allmand Law Firm, PLLC today to request your free consultation. Having helped tens of thousands of debtors throughout the Fort Worth area, Allmand Law Firm, PLLC has the skill, experience, and resources to help you fight the loss of your home. Whether you have already received a notice of foreclosure or you have started to fall behind on your mortgage payments, you can turn to us for the help you need. There are several different foreclosure defense methods, including short sales, deeds in lieu of foreclosure, and filing for Chapter 13 bankruptcy. Chapter 13 is one of the most popular methods of fighting foreclosure because it allows you to repay your mortgage arrears over three to five years. If you stay current on your mortgage and pay back your arrears by the end of your bankruptcy, you should be able to keep your home. If you are facing the loss of your home, Allmand Law Firm, PLLC should be your next call. During a free financial empowerment session, we’ll help you understand your options. Take control of your finances by enlisting the help of our Fort Worth bankruptcy lawyers. We are not here to judge – we are here to help you toward a better future.